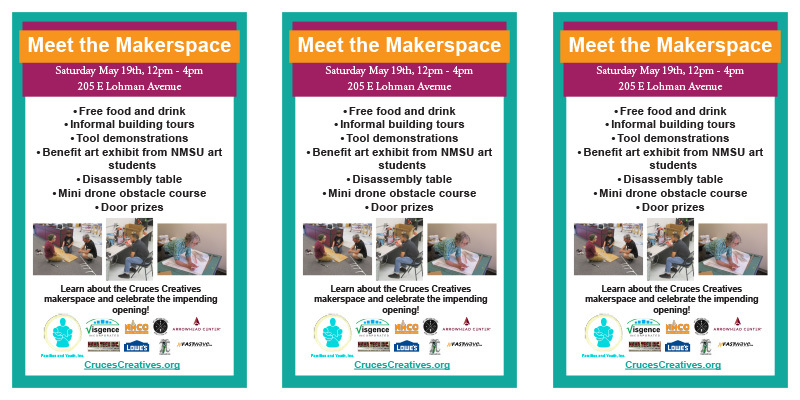 This entry was posted in Call for Submissions, Community, Event, NMSU Alumni and tagged #crucescreatives #leasurgeywise #community #art, #makerspace. Bookmark the permalink. Follow any comments here with the RSS feed for this post. Both comments and trackbacks are currently closed.